You wish to go to Barcelona in Spain in march : check how are the weather and seasonal norms here. The weather in Barcelona in the month of march comes from statistical datas on the past years. You can view the weather statistics for all the month, but also by clicking on the tabs for the beginning, the middle and the end of the month. It is still cold in March, despite the slight rise in temperatures. This announces the gradual return of the heat. However, as the rains start to regain their intensity, the climate in March through Barcelona remains acceptable. The first hours of the day are still very cool, with average temperatures below 10° C. The morning weather in Barcelona throughout March is still acceptable, because, aside from the few occurrences of rain at the beginning and the end of the month, the sun favors beautiful mornings. The heat returns in a smooth manner throughout March, since the first and last days of the month are mild. Mid-March also benefits from a moments of comfortable warmth in the middle of the day. The gentle sensation at the end of the evening and at night is always present throughout March, especially as it rains often during the night, hence the need to wear warm clothing. The weather in march in Barcelona is rather dry (with 79mm of rainfall over 7 days). It should be noted a worsening from the previous month since in february there is an average of 50mm of precipitation over 7 days. The climate is relatively cold in this location this month, but it is endurable by dressing cosy. Temperatures are up to 17°C. The seasonal minimum is 13°C. Thus, the mean temperature average on this month of march in Barcelona is 15°C. Note that seasonal normals in contrast with those observed in Barcelona in the month of march with a maximum record of 24°C in 2012 and a minimum record of 2°C in 2010. You can hope to have about 7 days with temperatures above 18°C, or 23% of time. Day length in Barcelona in march is 11:55. 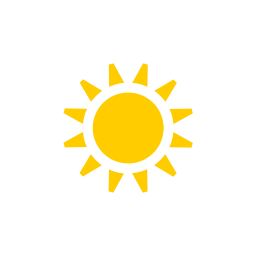 The sun rises at 08:03 and sunset is at 19:58. With a correct weather, this month is okay (but not the best) to go in Barcelona. March: another location in Spain? In march, Alicante, Costa del Sol, Fuengirola, Marbella, Nerja and Torrevieja have good weather. Weather data for Barcelona for march are derived from an average of the weather forecast since 2009 in Barcelona. There is a margin of error and these forecasts are to be considered as general information only. The weather in Barcelona can vary slightly from year to year, but this data should limit surprises. So you can pack your bags or check for the best time in year to go to Barcelona. Best time to go to Barcelona?